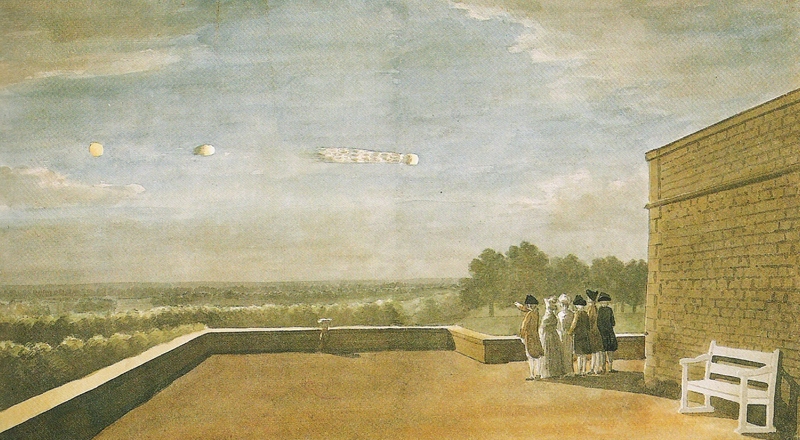 This watercolour depicts the appearance of a meteor, as seen from the terrace of Windsor Castle on the evening of 18th August 1783. The people observing the meteor are: James Lind; his friend the Italian physicist Dr Tiberio Cavallo (1749-1809); Dr Lockman, the Canon of St George's, Windsor; Thomas Sandby, the brother of the artist; and two unknown women. In an account of the meteor, published in the Philosophical Transactions of the Royal Society the following year, Cavallo noted the time as having been 9.17pm. Click on the image to the right of Lind's friend Sir William Herschel (1738-1822) to read an account of Lind's relationship with King George III's personal astronomer in Windsor and the influence of this relationship on the astronomical imagery later used by Percy Shelley.  The article, entitled "An Old, old man with hair of silver white..." appeared in the Keats-Shelley Review, 14 (2000). This planetary nebula was discovered by William Herschel on 13th November 1790. He wrote in his journal: "A most singular phenomenon! 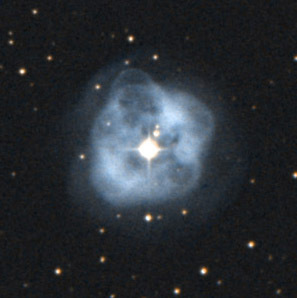 A star of about 8th magnitude with a faint luminous atmosphere, of circular form, and about 3 minutes in diameter. The star is in the centre, and the atmosphere is so faint and delicate and equal throughout that there can be no surmise of its consisting of stars; nor can there be a doubt of the evident connection between the atmosphere and the star." He published his discoveries in a paper entitled 'On Nebulous Stars' in Philosophical Transactions of the Royal Society in 1791. It was given the 'Herschel Number' H.v.69, but is known today as NGC 1514. Click on the image to the right to read an account of Lind and Herschel's influence on the astronomical imagery used by Percy Shelley in one of his greatest poems, Prometheus Unbound. The article, entitled 'Shelley's Cosmological Sublime: William Herschel, James Lind, and the "Multitudinous Orb"', was published in the Review of English Studies (Nov 2006). Is this Percy Shelley's 'Multitudinous Orb'?